I like popcorn and I like coffee so I thought is sounded like the perfect flavour combination for an evening snack. 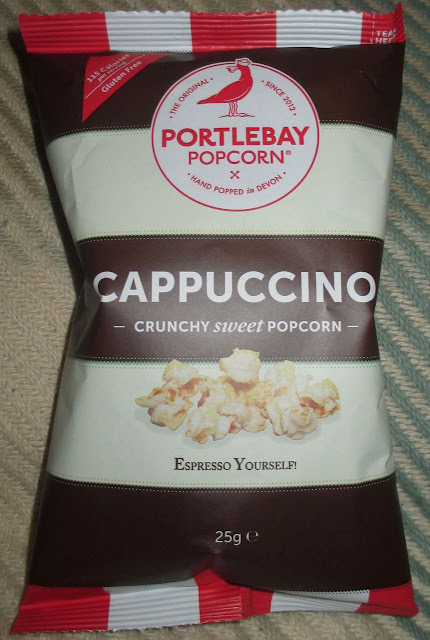 Cappuccino popcorn is not a flavour I've come across before, but it sounded suitably intriguing. It's quite healthy too, and there is only 115 calories per serving, it is made by Portlebay. I poured out some of the bag to have a look and found the popcorn to be mixed in sizes and have a nice sprinkling of brown seasoning. One plus side was that there were no unpopped kernels. I know that it is easy for some to slip through for any brand, but some popcorn brands seem happy to leave quite a lot in without much quality control, so I was very pleased with these. The flavour had a a unexpected taste when I tried my first piece, salt. I was expecting a purely sweet treat, sugared coffee was my thought, but the flavour combination was a lot more complicated. Firstly I got salt, then there was a sweet slightly chocolate taste, with a very mild hint of coffee at the end. It was pleasant and tasty, and I like the mix of sweet and salt, but not quite what sprung to mind when I thought of cappuccino popcorn. I thought the coffee would have had far more of a kick. 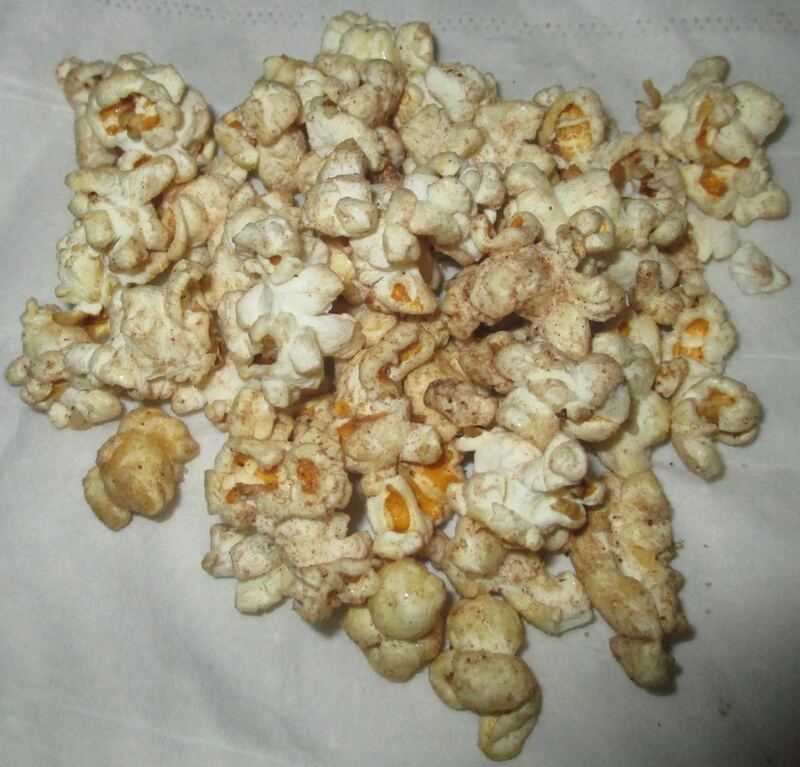 The popcorn had a nice texture, the pieces ranged in size and had that fluffy crunchy feel, which was nice to munch on.This is certainly something I'd pick up again, perfect for snacking on and who doesn't like the sweet salty combination really.